Just because you don't live inside the USA, doesn't mean you can't shop with US prices at Foot Locker and other US online stores. As we all know the Foot Locker US website offers great benefits and discounts to customers living inside the USA. Best of all, two great ways to save money available for US shoppers. First, free shipping within the USA is offered on select items and all orders over $75. Second, coupon codes that could be found easily online help shoppers save up to 20%. Luckily, international shoppers from all over the world, like yourself, can now also take advantage of all the great deals Foot Locker USA store offers thanks to USGoBuy package forwarding service! 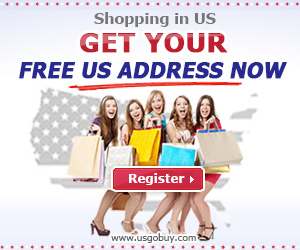 Another good thing is you can also enjoy lowest international shipping costs with USGoBuy. Any international customer must have found that Foot Locker international shipping charges can be quite expensive. Foot Locker also charges you for shipping & handling fee! International shoppers can now avoid these high charges by taking advantage of our package forwarding service for Foot Locker overseas customers. USGoBuy provides Foot Locker international shoppers a tax-free US address that you can use for your Foot Locker USA online shopping. Use this address as the shipping address for all your Foot Locker orders. You'll receive a notification when your Foot Locker items arrive at the USGoBuy warehouse. Then, you can simply arrange to have your order sent directly to your home address. Since you have got a US address, Foot Locker will ship your order for free if your order meets their free shipping conditions within US! You'll also avoid the Foot Locker international shipping charge and be able to take advantage of all the great benefits of Foot Locker USA online shopping, such as coupons and promotions. Foot Locker carries the hottest athletic footwear and apparel for the entire family. They have the most popular brands of sneakers, hats, hoodies, and T-shirts. 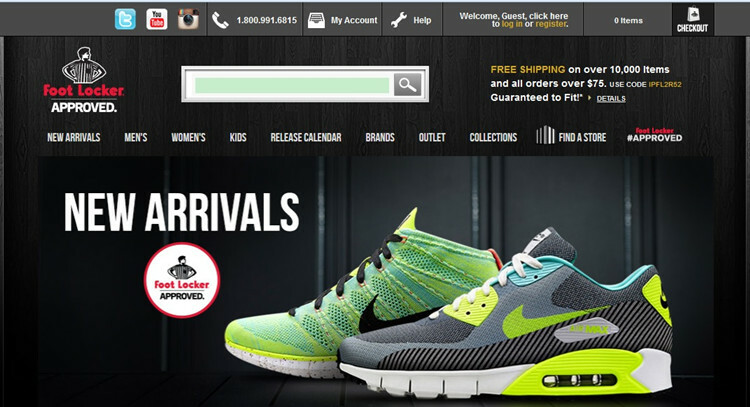 Looking for brands at Foot Locker like Nike, Adidas, Puma, Under Armour, or Jordan? You'll find it all inside Foot Locker! Whether your passion is basketball, running, tennis, or just being stylish, Foot Locker has the merchandise that will leave you looking and feeling great.